Today we celebrate the feast day of St Denis, patron saint of France and first bishop of Paris, where he was beheaded. According to legend, he carried his head to Montmartre. He is one of the 14 holy helpers, and is invoked to alleviate headaches–headaches that are sure to come to us on account of the demons in the world, like those we read about in our Gospel today. We need all the help we can get in fighting them–especially since Satan does so much of his work by messing with our minds. 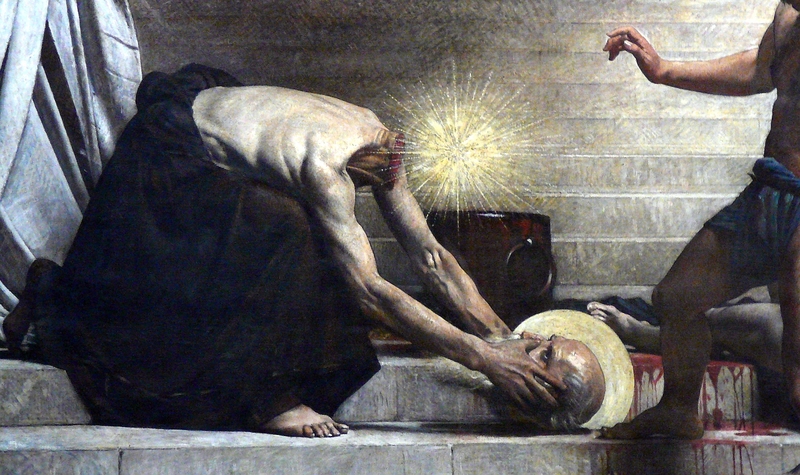 St. Denis, pray for us. This entry was posted in Daily Homily Thoughts. Bookmark the permalink.